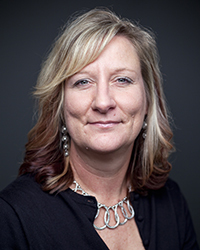 Lynn Holdheide is a managing technical assistance consultant for AIR with more than ten years of experience in providing responsive technical assistance of the highest quality to state education agencies (SEAs) and regional comprehensive centers. Her comprehensive knowledge of and expertise in special education-including response to intervention, inclusive services, evaluating teacher effectiveness, and improving the preparation of teachers for students with at-risk characteristics and disabilities-make her uniquely well-qualified to lead the Center on Great Teachers and Leaders' efforts in these key areas. Holdheide is adept at forming and sustaining strong collaborations between SEA staff, researchers and service providers to generate new knowledge, identify key challenges, devise strategies and push forward policy and research on topics of critical importance. In her previous role as Vanderbilt University research associate for the TQ Center, she spearheaded efforts to address the pressing challenges in evaluating teachers of students with special needs and served as a reviewer of the U.S. Department of Education’s ESEA Flexibility Waiver applications in 2012. Holdheide is a veteran in providing technical assistance through in-depth, face-to-face collaboration, as well as through online platforms and the development of customized resources that are directly responsive to state needs. She also coordinates the TQ Connection, an online resource designed to serve both general and special education teacher preparation. With experience as a special education teacher, project coordinator and education consultant for nine years at the Indiana Department of Education, Division of Exceptional Learners, Holdheide is sensitive to the needs of teachers of students with disabilities and has a deep understanding of the challenges that SEAs face in education reform.